This is the 14th in our series ‘Australia in Space’ leading up to ASPI’s Building Australia’s Strategy for Space conference. A sustainable sovereign launch capability is essential for a strong and vibrant space industry. Without it, Australia lacks an essential component of industry integration and will always have to queue for a ride to space at a time and place not necessarily optimal for our economic or strategic benefit. Like Australia, no country in Southeast Asia currently has a launch industry despite strong satellite development. Their need—like ours—is growing rapidly. An Australian launch capability, in addition to supporting local companies, can generate significant direct export revenue. Canadian company Maritime Launch Services is forecasting eight launches per year at a cost of US$45 million per launch. Revenue earned from multiple sites and using different launch vehicles could amount to more than AUS$2 billion per year by 2025. At least five Australian companies are developing vehicles to vertically launch satellites ranging in size from a few kilograms to hundreds of kilograms. All are seeking opportunities to launch small satellites and deliver the cluster of constellations expected to be deployed by 2025, and then replenish those every five to seven years. 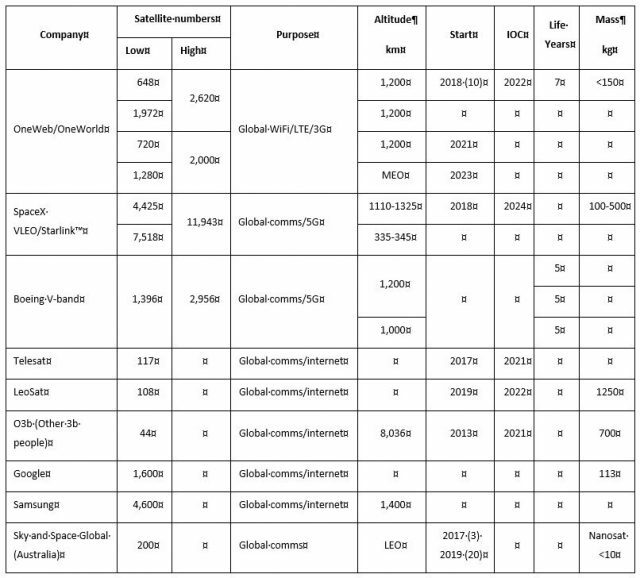 Worldwide there is intense competition among established and emerging launch vehicle builders. New technologies such as the additive manufacturing (3D printing) of rocket engines and other parts could see manufacturing co-located with a spaceport, enabling rapid supply of vehicles—reducing build and transport costs. Recovering rocket stages and then refurbishing or recycling them will further reduce overall launch costs. ‘Horizontal launch’ of satellites from aircraft could be another option to achieve orbit, but aircraft limitations are likely to restrict payloads to small satellites weighing less than 500 kilograms. 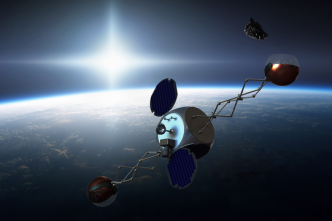 Another concept is that of ocean launches using floating rockets, an idea being pursued by Ripple Aerospace. A novel concept being developed by 8Rivers is a tube-launched electric rocket that leaves its power supply on the ground. Forty US‑based launch companies will participate in the recently announced DARPA Launch Challenge. Europe and Asia have a similar number of rocket builders. All in all, this is a very competitive industry, which is leading to a significant decrease in the cost to launch. 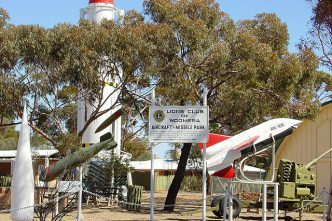 For Australia, space launches started in the mid‑1960s with the launch of the Europa vehicles from Woomera. Twenty years later, governments across Australia looked to re‑enter the space race, with sites considered in Cape York and in the Northern Territory at Darwin, Gunn Point, Point Stuart and Nhulunbuy. 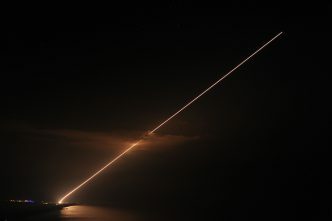 Since then commercial organisations have investigated establishing spaceports at Christmas Island, Woomera, Rockhampton, Derby, across Australia’s southern coast, and at all the Northern Territory locations considered in the mid‑1980s. Today a spaceport and associated range are being developed in Arnhem Land 25 kilometres south of Nhulunbuy by Equatorial Launch Australia. 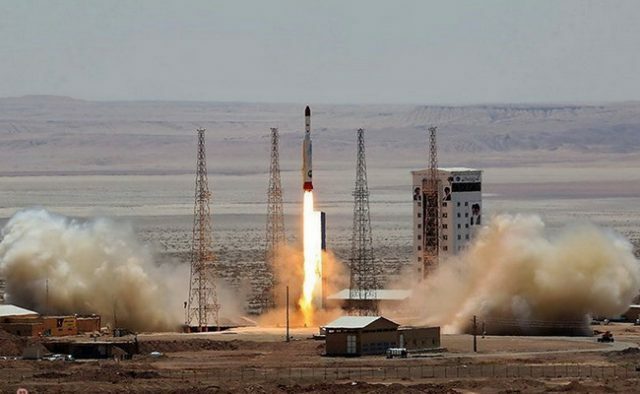 Land has been leased, and agreements have been established with domestic and international organisations for the supply of rockets capable of lifting into orbit payloads ranging from three kilograms to more than 7,000 kilograms. Over the coming years, subject to regulatory approvals, there should be regular launches of satellites and spacecraft to deep space from the Arnhem Space Centre. Establishing a spaceport requires careful consideration. Cost constraints mean that extant infrastructure needs to include an airport, seaport, weather radar, high-bandwidth global connectivity and mobile phone coverage. Low population densities help to lower risk and insurance costs, while quick access to hospital emergency facilities is required to meet safety requirements. A local skilled workforce can be a base to build supporting industries, but importantly, there’s a need for demonstrated support from the community and traditional owners. Open ocean next to a site is preferred to allow safe flight termination if there’s a malfunction, and for dropping stages in zones away from people. 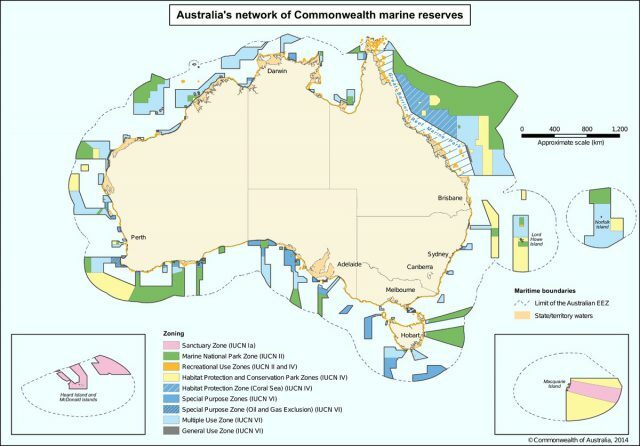 Marine reserves (Figure 1) will limit most coastal site options, especially in eastern Queensland. Launch corridors over land are possible, but would require extensive consultation and agreements with governments and land owners over many years. Oil and gas infrastructure also restricts the potential for northerly blast offs from Western Australia and the Northern Territory. The further a site is from the equator, the less benefit it gains from the earth’s rotation, which imparts increased velocity when launching to the east. To be competitive, higher latitude sites tend to specialise in launching north–south polar orbits, primarily for earth observation. The equatorial low‑earth orbit (Figure 2) is a particular orbit of economic and strategic interest for Australia and our allies. 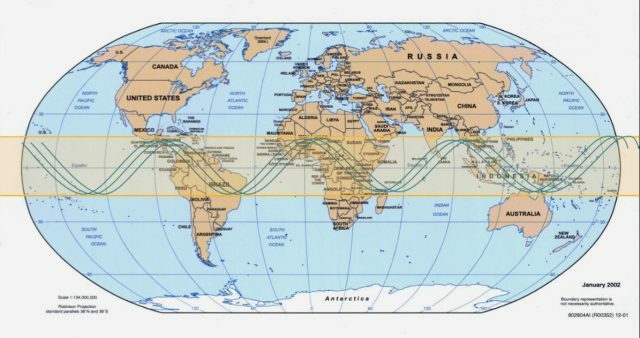 Encompassing the equatorial zone between +/- 15 degrees, this orbit covers three billion people in Southeast Asia, most countries in Africa and South America, and many Pacific nations. From a satellite operator’s perspective, a constellation flying in this zone only needs one‑tenth the number of satellites of a similar global constellation—potentially an order of magnitude’s cost savings. The global space launch market was valued at US$8.7 billion in 2016, and is projected to reach US$27.2 billion by 2025, a 15% compound annual growth rate. Globally this market is very strong, and the strongest projected growth is in the Asia–Pacific region. Key factors driving the growth of the launch market are a rise in space exploration activities, technological advancements to develop low-cost vehicles, and an increase in demand for small satellites and constellations. On 31 August 2017 there were 1,071 active satellites. That could increase tenfold within five years. From 2025, there could be a further rise in deep-space activities associated with off-earth resource extraction. That would produce additional strong demand for efficient equatorial launches of both small and large payloads. 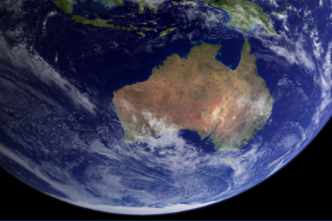 There’s now growing momentum to create a sustainable, flexible and responsive sovereign launch capability that can underpin a globally competitive space industry in Australia. Scott Wallis is CEO of Equatorial Launch Australia. Image courtesy Equatorial Launch Australia.